I’m so thankful for the patience and kindness of Mason’s pediatrician's office. My little munchkin has been very sick this week with a nasty cough that has put him in the doctor’s office 4x this week. He’s was put on nebulizer treatments 3x a day, plus was given an oral steroid at the doctor’s office, had a chest x-ray, on an antibiotic, and the list goes on. As a mother you hate to see your child sick especially when they are as young as Mason is and it’s hard when there’s nothing you can do to make them feel better. So, you rely heavily on their doctors and sometimes you get to a point of desperation. You just want the doctor to reassure you 5 10 times that your little munchkin will get better soon and everything will be ok. They are so kind and patient with Mason and his worried mama. I know sometimes our patience can run thin with doctors, but they do a lot for our children so make sure you show the same kindness and patience for them. 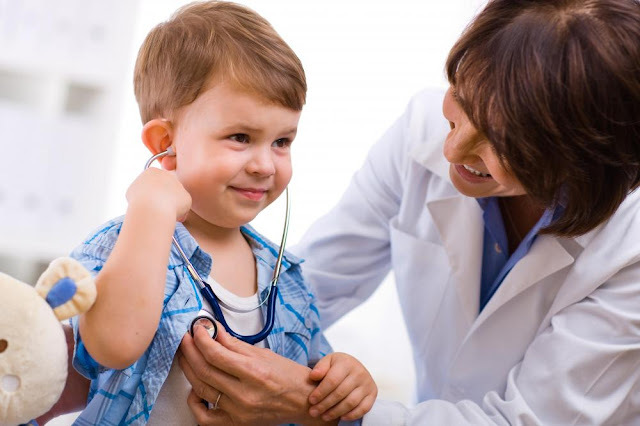 Tell your child’s pediatrician how much you appreciate them the next time you see them and if you don’t appreciate them I encourage you to find a pediatrician you can appreciate, because there are some really awesome ones out there.